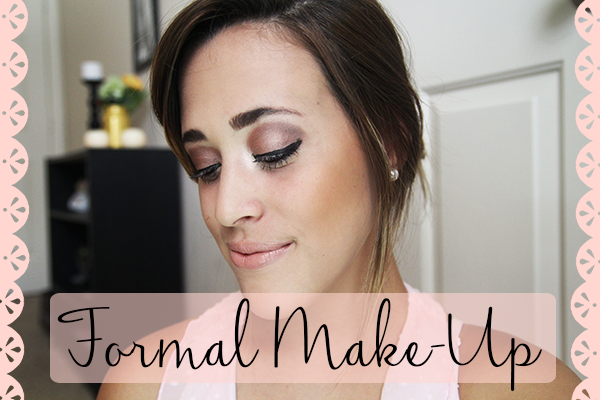 So for todays post I decided to film another video showing you all a more formal make up look. This look was inspired for a wedding that I will go to later in the month and wanted to have a nice idea of how I wanted to do my make up. I went for a really subtle look and kept it nice and sweet, nothing crazy. Wedding days are always sort of rushed so this look was perfect for when you need to hurry! Hope you enjoy and please subscribe! whoo hoo!!! Friends all around!!! literally GORG! I love the smoky eye, it really compliments your features! I love the way you describe how to make up as well the way you film your videos!